Grand Teton was the other national park besides Zion which has not been on our bucket list when we arrived to the US – and which has taken our breath away the moment we’ve seen it. We’ve spent only one day in this park and we can’t wait to be back! The reason: dramatic peaks rising as much as 7000-13000 feet (2100-3900 meters) and covered with snow even in July, crystal clear lakes reflecting them, hidden waterfalls and our hike in Cascade Canyon. I couldn’t say we picked this hike after a deep research. 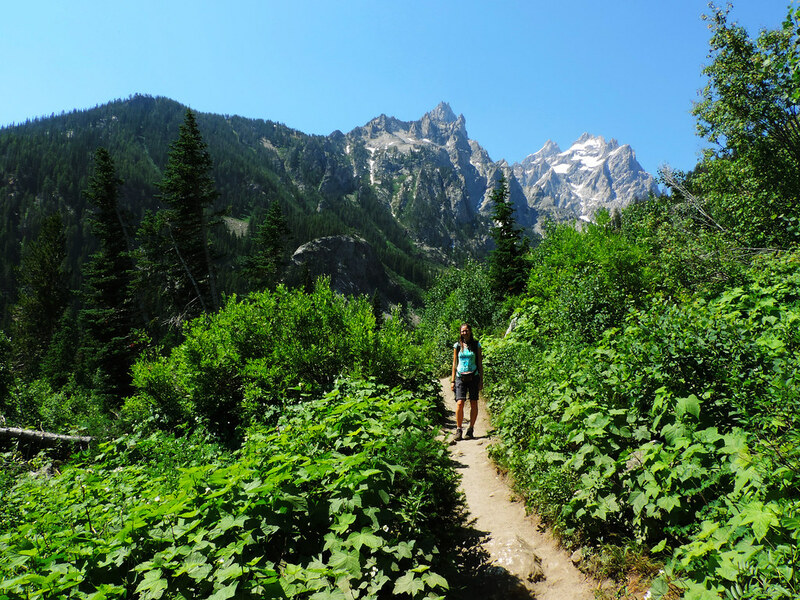 Honestly we’ve thought we’d stop at Grand Teton for a day on our way to Yellowstone and just picked Cascade Canyon Trail after like 5 minutes of googling. What makes this hike special? 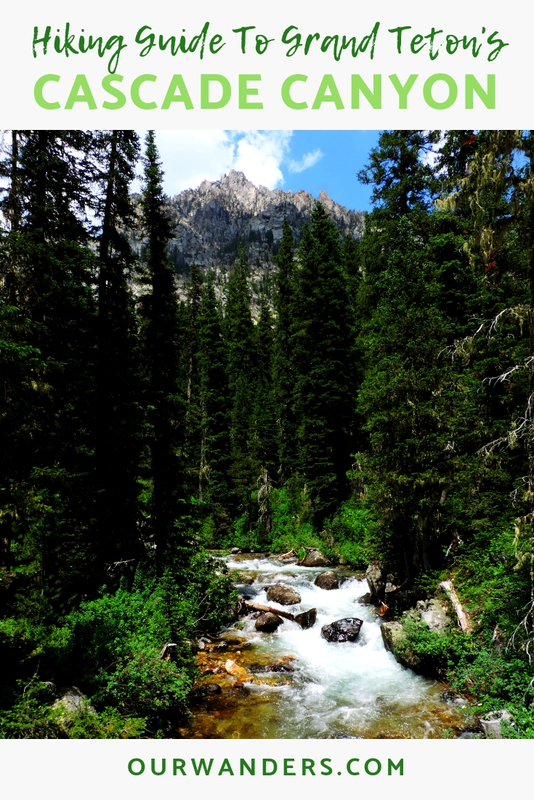 The trail through Cascade Canyon has everything that makes a mountain hike amazing: Jenny Lake reflecting the high peaks at the trailhead, the crystal clear greenish Cascade Creek all the way and all the snowcapped peaks and hidden waterfalls around us whenever we look around in the canyon. Oh, and occasional moose crossing. I’ve always thought that an amazing panorama is a reward after a steep and exhausting hike to a peak, but in Cascade Canyon we’ve conquered no peak and still had an unbelievable panorama. 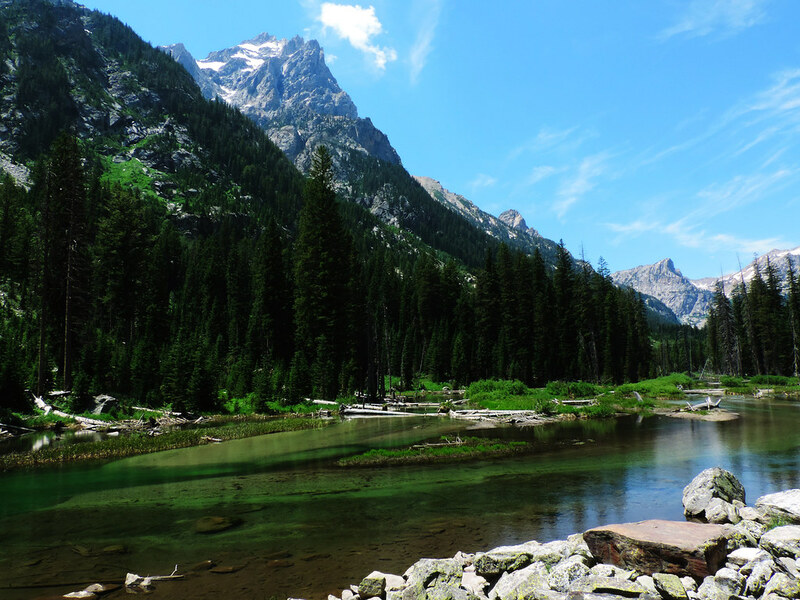 The hike towards Cascade Canyon starts at Jenny Lake Trailhead. We turned west off Teton Park Road at the South Jenny Lake Junction and parked at the Jenny Lake Visitor Center. The lake and the trailhead is just a couple of minutes walk from there. And there we had our first rest stop at the lake. Okay, we called it a breakfast stop because we haven’t even started our hike on that day, but the view of Jenny Lake and the Teton peaks was so magical that we just had to sit there for a while. 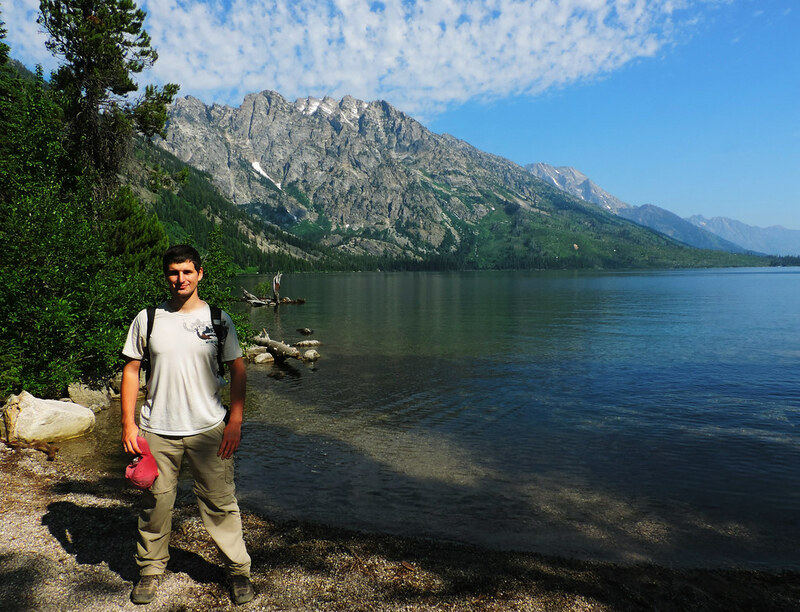 You have two options to get to the mouth of Cascade Canyon: taking the Jenny Lake Trail around the south end of the lake or taking the shuttle boat. Both are beautiful ways to enjoy the lake views! The boat ride cuts-off 2.4 miles of walking each way, but it has a fee. 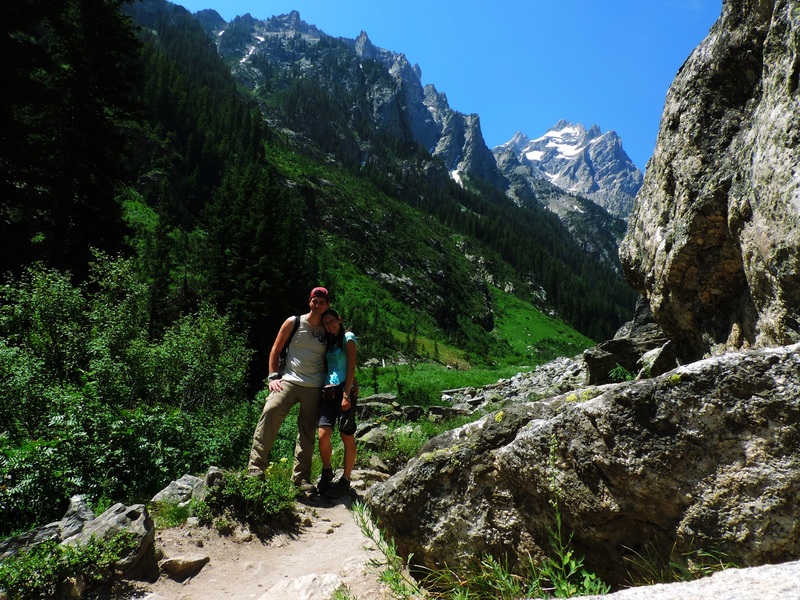 We’ve chosen Jenny Lake Trail, because we wanted to walk on the lakeshore. Whether you arrive by boat or on foot there’s a short detour near Cascade Canyon Trailhead which is very well worth to take: the trail leading to Hidden Falls which drops roughly 200 feet (60 m) in multiple steps. After Jenny Lake and Hidden Falls we’ve been already deeply in love with Grand Teton – and we were just about to start our hike in Cascade Canyon. 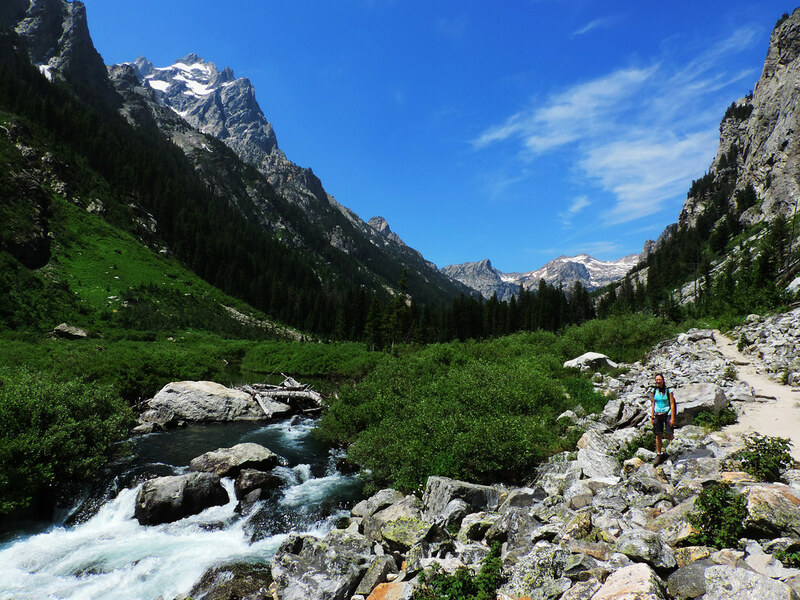 It started with a steep section up to the mouth of Cascade Canyon and continued with amazing views of the surrounding peaks and the charming Cascade Creek all the way. 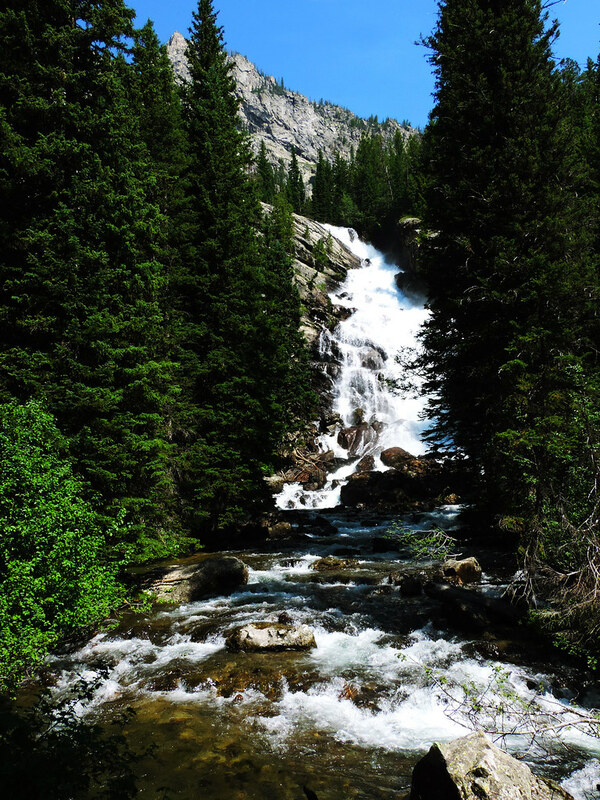 As the snow was melting on the peaks (it was in the middle of July after all) we’ve seen tons of waterfalls! 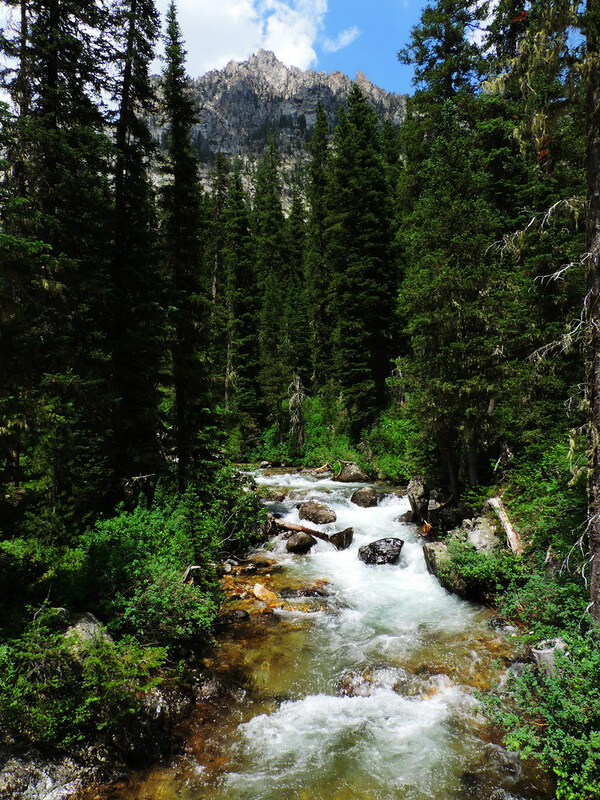 The hike in the canyon is a 6 miles roundtrip and the end of it is the Forks of Cascade Canyon. This is the place to turn back if you plan for a day hike as we did. Otherwise there’s two trails at this fork which leads you further into the wilderness. But in any case don’t forget to look for a charming little waterfall at the fork. Summer, summer, summer! We’ve been there in the middle of July and it felt like spring: the snow was melting and there were waterfalls and flowers everywhere. Otherwise, the hiking season is roughly from May to October. The national park itself is open year-round, but most of the roads are closed in winter. For the most up-to-date road and trail conditions it’s always best to visit Grand Teton’s NPS homepage. 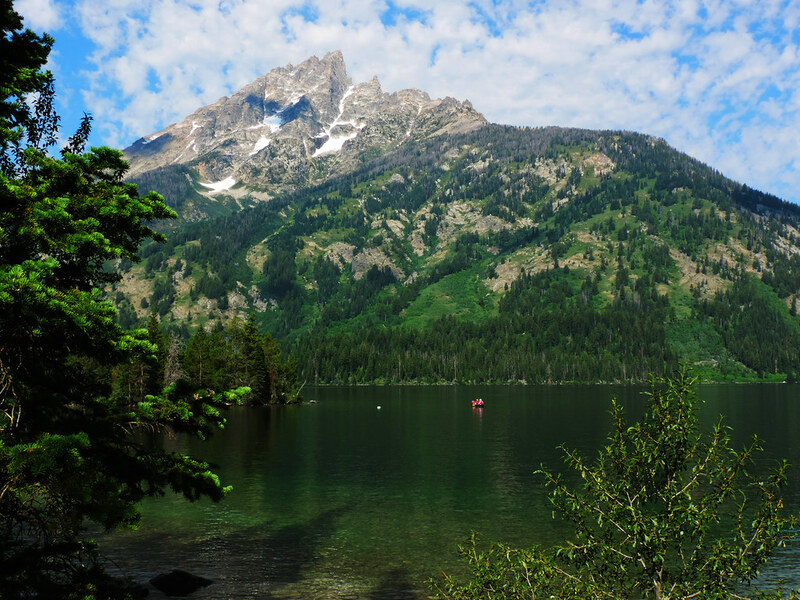 Would you visit a place like Grand Teton? What is your favorite hike if you’ve already been there?